Planning a social media contest? 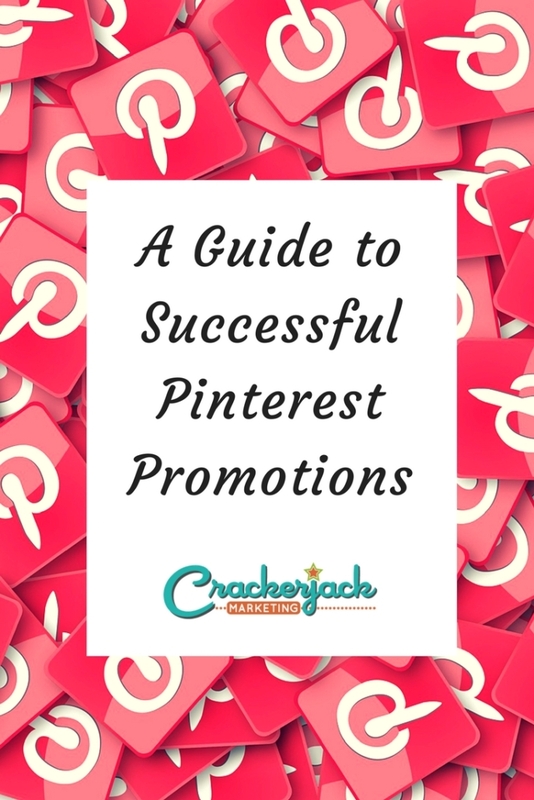 Pinterest tops the list of the best platforms on which to run contests and promotions. Why? Follow the Rules: Like all social media networks, Pinterest has rules. 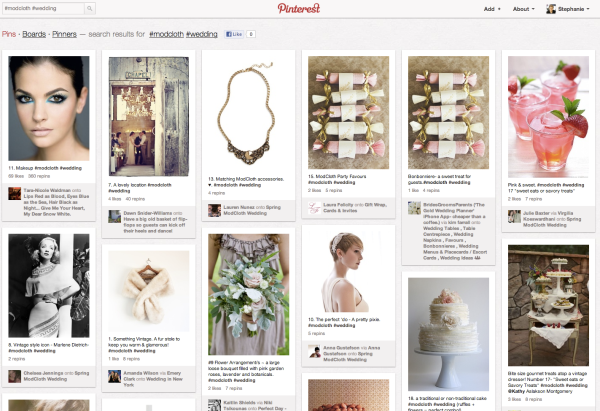 Compared to other platforms, however, Pinterest is pretty easy-going. 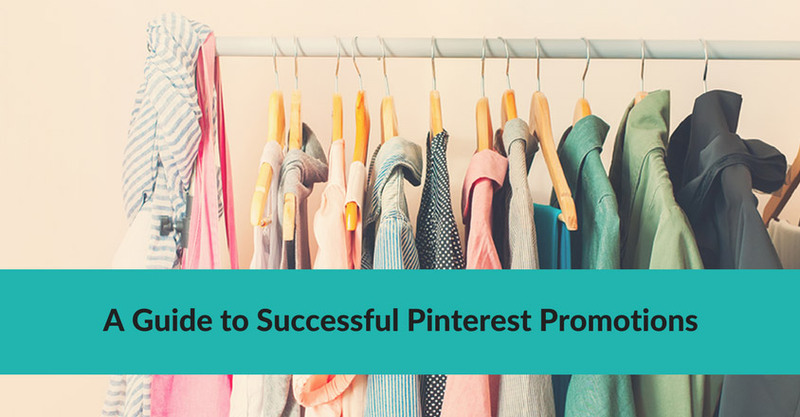 Learning the rules and following them is one of the most important steps in running a successful Pinterest contest. Keep It Simple: In general, the less well known your brand and the less valuable the prize you offer, the less complicated you need to make your contest requirements.Â After all, who wants to spend valuable time deciphering a long list of requirements for a brand he or she has never heard of. However, keeping it simple is ALWAYS a good idea, no matter how attractive the prize. Try to create just a few entry steps and make sure your instructions are clear (at a glance) and easy to follow. Make It Fun: The people who enter your Pinterest contest will be well aware of all the competition. So they’ll likely feel more excited about entering and taking the time to follow the required steps if you make the contest match their interests. For example, if your target audience is into decorating, have participants create pins of dream rooms or items they want for their dream homes. They’ll enjoy the virtual window shopping and have more of an interest in entering your contest. Get the Most out of It: Set goals for your your Pinterest contest. For example, you might want to use your contest to help increase your fan base, or your primary goals may include collecting information about your fans. Then, make sure your contest requirements will help you achieve your goals. If, for instance, your goal is to collect information about your fans, you can require participants to sign up for the contest (and a login) on your site. This way, you can collect the information you need each time someone chooses to enter. If it’s fans that you want, require all participants (both entrants and voters) to follow your brand on Pinterest. Make It Worth Their While: Of course, not every brand has the major bucks to shell out for a very extravagant prize, such as a car or a vacation. However, this doesn’t mean you can’t offer an attractive prize. 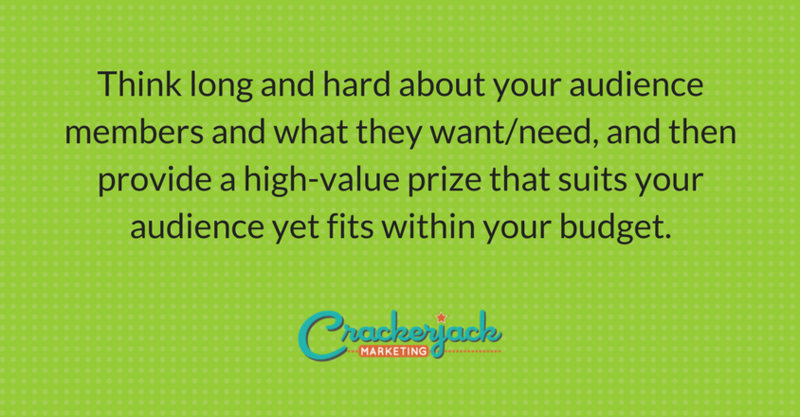 Think long and hard about your audience members and what they want/need, and then provide a high-value prize that suits your audience yet fits within your budget. Gift certificates for online shopping and high-value items from your site are always good ideas. Track Your Results: Keep track of your results throughout the contest period. Set up a spreadsheet to keep track of each goal on your list and update the spreadsheet each week with your progress. For instance, if you want to drive traffic to a page on your site, update your spreadsheet with your referral traffic numbers. Here are three examples of great consumer-oriented Pinterest contests to get your creative wheels turning. The shelter magazine created its Dream Bedroom Contest, which offered participants the chance to win a $500 Garnet Hill bedding set. To enter, each participant had to follow Country Living on Pinterest and create a My Country Living Dream Bedroom pinboard. 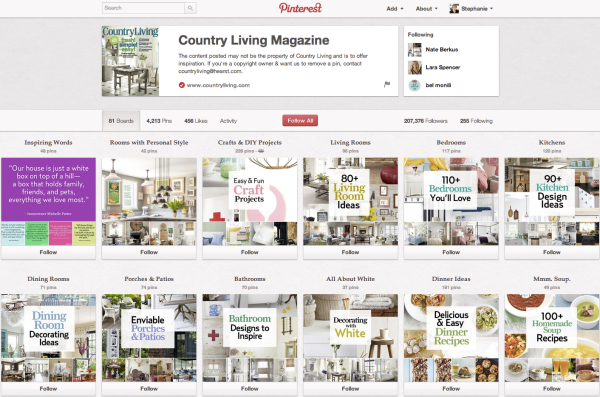 Each pinboard had to include 10 pins illustrating the participant’s dream bedroom, and at least 5 of the pins had to come from CountryLiving.com. Each pin included the #countryliving and #dreambedroom hashtags, and participants had to submit their boards for entry by commenting on the contest pin with a link to their dream bedroom boards. This contest encouraged participants to have fun creating pinboards that showed off the objects of their desire and only required them to include minimal images from Country Living. The inclusion of the hashtags ensured more exposure for the brand. 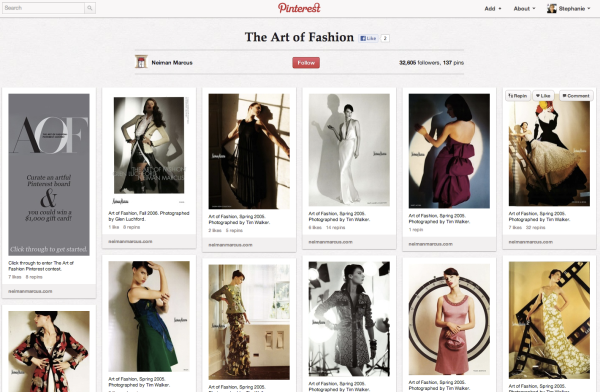 Nieman Marcus is currently running a Pinterest contest called The Art of Fashion. They’re asking participants to create a new board, pin their cover image, and pin any six looks from their Art of Fashion collection. They seem to be getting a number of repins already, though the contest goes through until nearly the end of the month. The advantage to this campaign is that it is pretty low-involvement for the user – but given that Nieman Marcus is providing beautiful images to repin, it’s very likely that once repinned, those images will spread. And they all lead back to NiemanMarcus.com, naturally. Another thing I really like about this contest is that the entry is via a form on the NeimanMarcus.com website – a layer of formality that I’m sure their attorneys appreciate (and perhaps insisted on) to make sure they’re getting all their terms and conditions met. The Something ModCloth, Something You Pinterest contest asked participants to help inspire ModCloth’s 2012 spring wedding campaign and have the chance to win a $100 gift certificate. To enter, participants had to follow ModCloth on Pinterest and then create a pinboard with the title “Spring ModCloth Wedding.” Each pinboard entry had to include 20 pins that fit provided categories, such as Something Vintage, A Lovely Location, and Makeup or Nails, also incorporating the #modcloth and #wedding hashtags. ModCloth created a wedding contest pin on their “To Have and to Hold” wedding pinboard and asked entrants to enter the contest by posting comments and links to their pinboards there. This contest, which generated thousands of pins, was well-suited to ModCloth’s audience, allowing audience members to enjoy a wedding-planning activity while also getting the chance to win. Since every pin created for the contest had a ModCloth and a wedding hashtag, the brand showed up in search after search performed by its target market. Have you seen or entered any creative, effective Pinterest contests lately? What made them stand out for you?